Live Nation Purchases 51% of Aztec Theatre — Sobre Sound "
San Antonio's music business has yet again made headlines. And yet again, it is by businesses and promoters from outside the city. 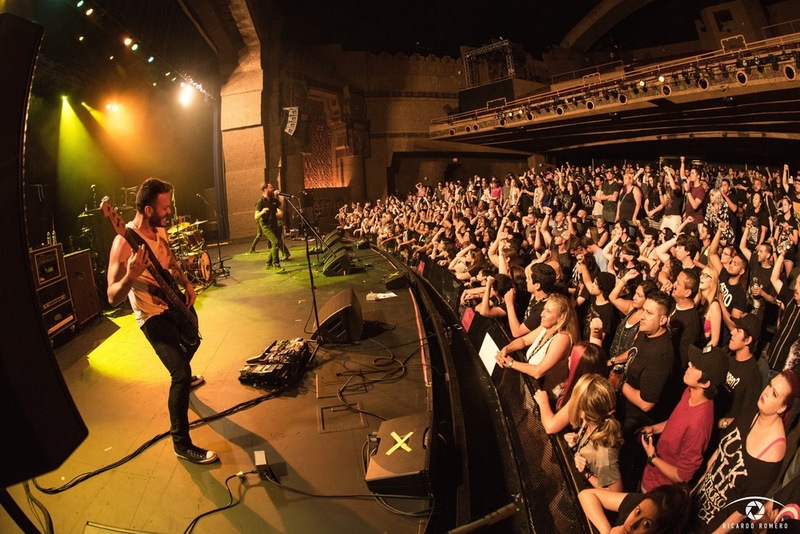 It was announced earlier today that Live Nation has purchased a 50% stake in the Aztec Theatre. The Aztec has been slowly making headlines over the last few years as the historic theatre has undergone multi-million dollar renovations, the owners of Sam's Burger Joint finalized a purchase and talks of House Of Blues taking over programming have been in the air since 2013. Live Nation bought Austin's C3 last year and is now making a significant move into San Antonio. House of Blues is also owned by Live Nation. You may remember, Live Nation bought Ticketmaster a few years ago and now will own 51% of an historic theater downtown San Antonio. Live Nation owns the venue, the promoter, the ticket seller, and even owns the 360º contracts with artists like Cold Play and Deadmau5. Yesterday, Untapped Fest lineup was revealed and it was impressive. Untapped Fest is organized by the Dallas promoter Spune Productions. Over the last few years we've seen organizations outside of San Antonio have turned our city's sleepy and mostly amateur music business on it's head. Local business owners have been turning over the programming and talent buying to these outside groups like Transmission and Score More Shows to bring in nationally touring and most importantly, relevant talent to our city. (The audiences have been here, the infrastructure has been here, the money has been here) Spune Productions, Live Nation, House of Blues, Transmission and Score More Shows are all promoters from another city. This land grab in San Antonio's music business has lit a fire underneath local promoters and venues to step up their game. Twin Production and Korova have also been having a killer year and bringing talent to San Antonio at a volume we've never seen before in the Alamo City. Not sure if these organizations have been updated with what's been happening in San Antonio, but there has been an explosion in the number of events in the last few years. Describing SA's 340K 20-29year olds as underserved may have been true in 2013 or even 2014, but in 2015.. things are booming.